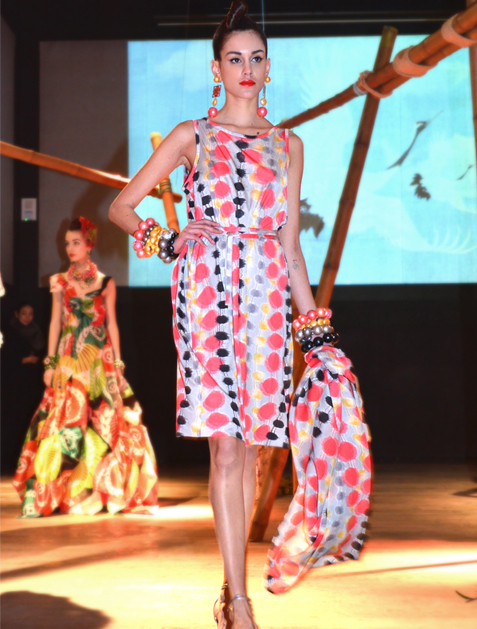 Yumi Yuzen has been showcased in the Haute Couture Week in Paris with many words of praise. Yumi Yuzen offers one-size-fits-all creations like capes, t-shirts, and dresses. All are designed to work both ways, casual or elegant. Yuzen comes from the name of Yuzen Miyazaki, a 17th century painter celebrated for a gorgeous printing technique in multi-colors. 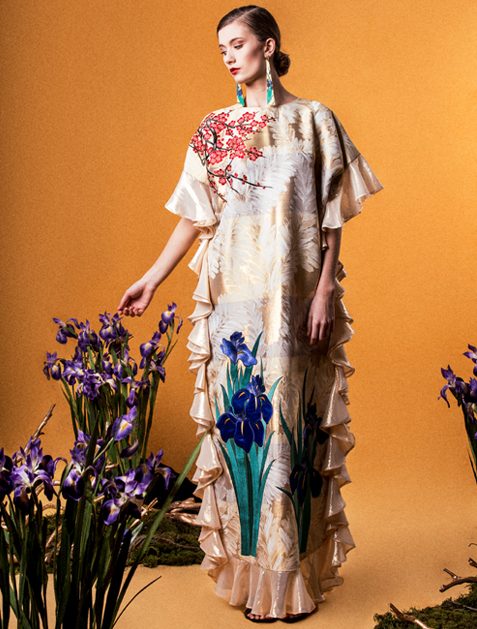 Yumi Katsura revives Miyazaki’s traditional heritage by melding it with signature contemporary elements to make Yuzen wearable day-to-day all over the world. A kimono-sleeve dress in a daring, modern bamboo print.